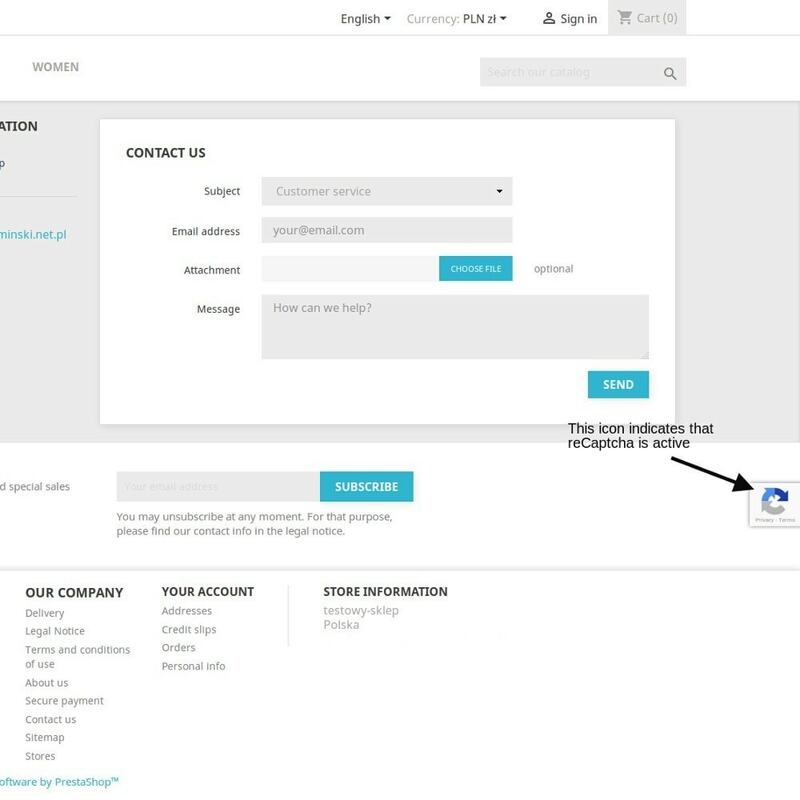 Protect your contact form from spam messages! Simple and fast configuration! Our module is integrated with new Google invisible protection. 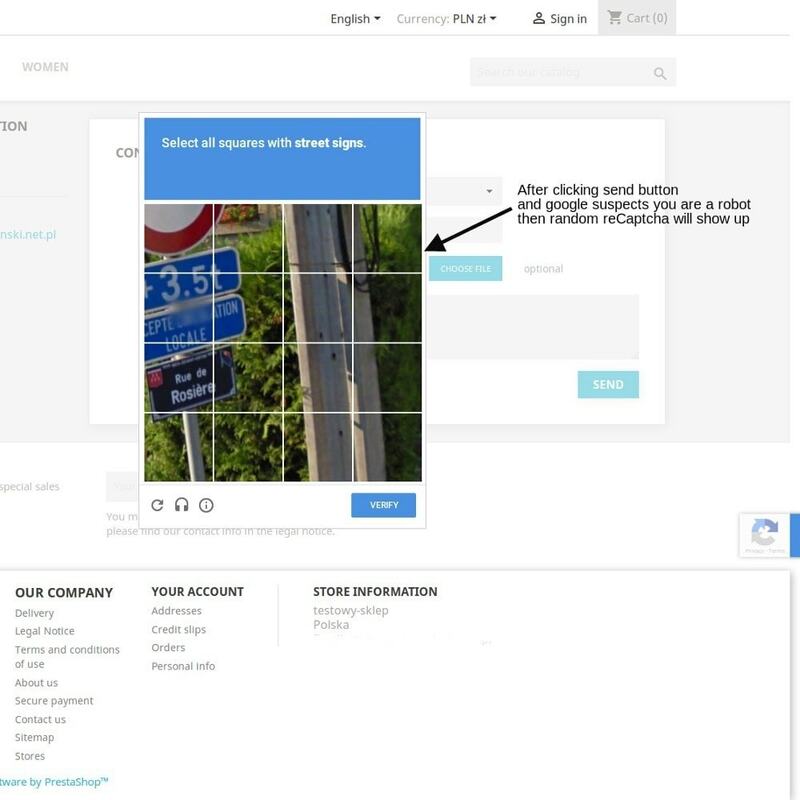 This new Google software is the most safest and user-friendly reCaptcha. Only when google suspects that user is a robot, then random reCaptcha will show up. Thanks to that, in most cases the customer does not have to waste time confirming that he or she is not a robot. Easy installation! Simple and fast configuration. 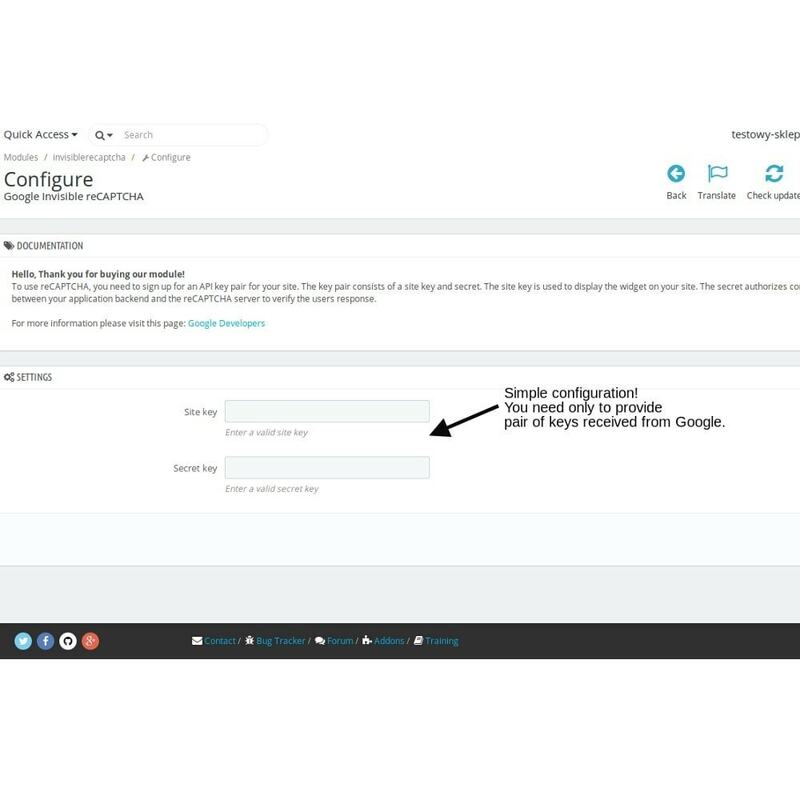 In configuration page provide pair of keys received from Google and save it. And that's it! 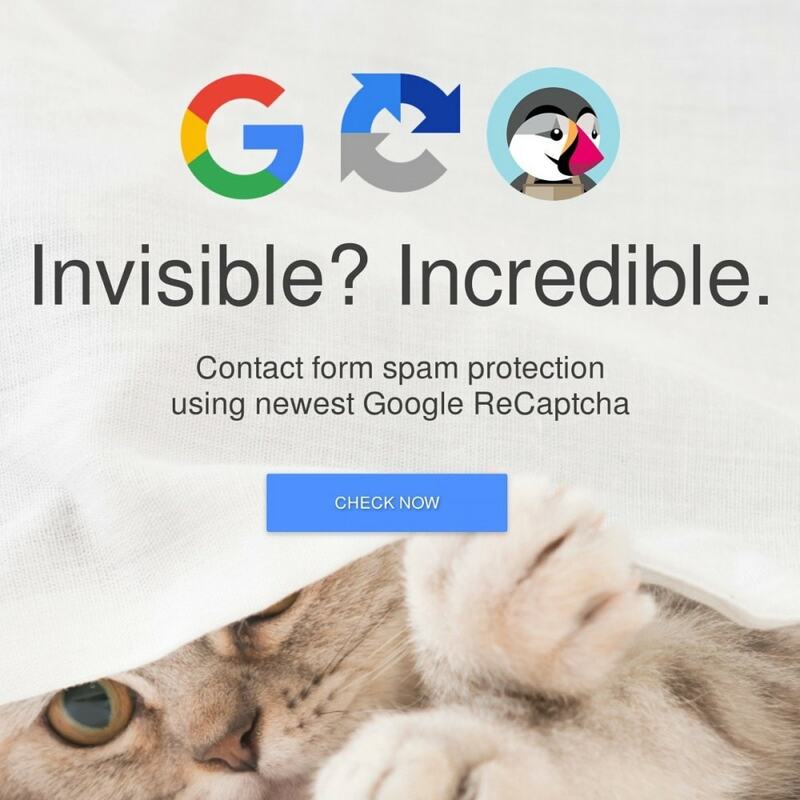 Your contact form now is protect from spammers. Easy install - you don't have to edit any template files! Just install module, provide pair of keys and that's it. Reduzieren Sie Ihre Retourenquote und steigern Sie die Kundenzufriedenheit mit dem Modul Größentabellen! Das Modul ist ideal für Onlineshops, die Mode, Damenwäsche, Accessoires und Schmuck verkaufen, und ermöglicht es Ihnen, mehrere Tabellen mit Größenentsprechungen für die Produkte und Kategorien Ihrer Wahl in nur wenigen Minuten zu erstellen und individuell anzupassen. Put your PrestaShop store in compliance with the GDPR!Encrypt the personal data of your customers in your database to avoid any fraudulent use. Das Modul erlaubt dem Kunden sowie dem Mitarbeiter, die Dateien der Bestellung hinzuzufügen.Mithilfe des Moduls ist es möglich, die beliebige PDF, JPG, PNG, oder andere Datei mit der Bestellung zu verknüpfen. Join easily orders from the same customer. Save time and optimize your logistic.